Portsmouth Canoe Club: The Two Towers - a Trilogy Perhaps? The Two Towers - a Trilogy Perhaps? 2011 must be the Year of the Tower! 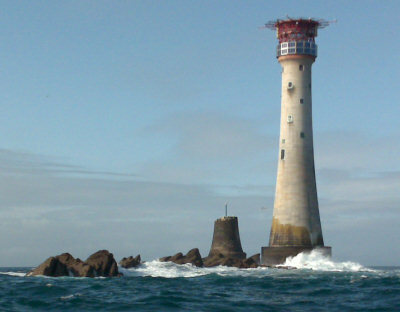 The Nab Tower, 7.5Nm south of Portsmouth was followed by a circumnavigation of Hayling Island to get home! and, the Royal Sovereign Lighthouse, 6Nm due south of Pevensey Bay in East Sussex. Both have interesting histories and can be very lonely, exposed places in poor weather. Luckily for us we had great conditions but they are still committing paddles. This is planned for Friday 17th June as part of the Devon Camping & paddling weekend. I’m doing the weekend but sadly, work commitments means I will have to leave the trilogy to some other lucky club members. Two out of three aint bad!